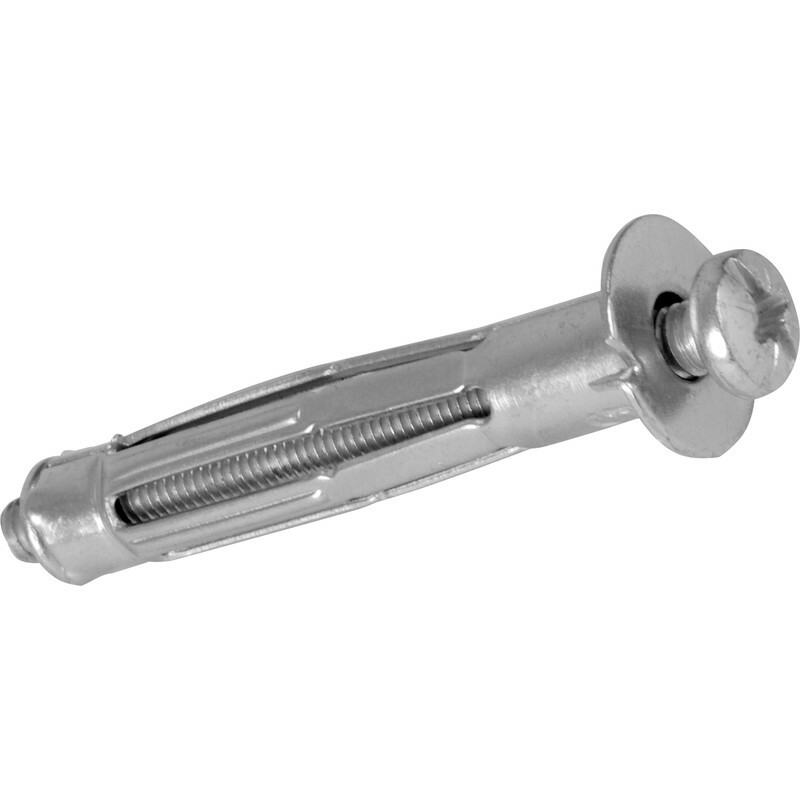 Versatile zinc-plated cavity metal fixing with metric screw. Suitable for plasterboard, chipboard and plywood applications. Expanding arms allow for high load-bearing capacity. Fischer HM-S Metal Cavity Fixing 5 x 65mm (50 Pack) is rated 4.5 out of 5 by 22. Rated 5 out of 5 by Captain999 from Fischer Fixing I've used these for 15 + years . They are by far the best brolly type anchor on the market. Drill correct size hole & Uuse setting tool for best results. Rated 5 out of 5 by AJ Techteacher from Excellent fittings, reallily well made and easy to Use the fitting tool to install these and you will have no issues. Rated 3 out of 5 by IanR from Disappointing I bought three different sizes of these to stock my toolbox. I used four of them and two of them failed. The female thread on both stripped as I was tightening. On further inspection, I noticed on an unused one that the female part has only two to two and a half threads. Once these have been set or tightened, they can only be removed by cutting them out of the plasterboard. I ended up using a wood screw to create its own thread in the fixed part. A good idea that needs a little more meat on the threads. Will be selective in future use. Rated 5 out of 5 by Norman from Best thing since sliced bread These are the best way to fix things to a plasterboard wall. You need a tool to make them deform behind the plaster - you can't do it by tightening the bolt. Rated 5 out of 5 by KeithT16 from Great price for quality fixings. Had bought other fixings that were too long. Searched on line, and the only place I could find what I needed was Toolstation. Luckily they were open late with a branch not too far away. I ordered online and picked up that evening allowing me to finish job in the morning. Rated 5 out of 5 by Brains from Product good -TS Service exceptional Had a small issue with this purchase. Rang T S customer service and they were exceptional. Well done!